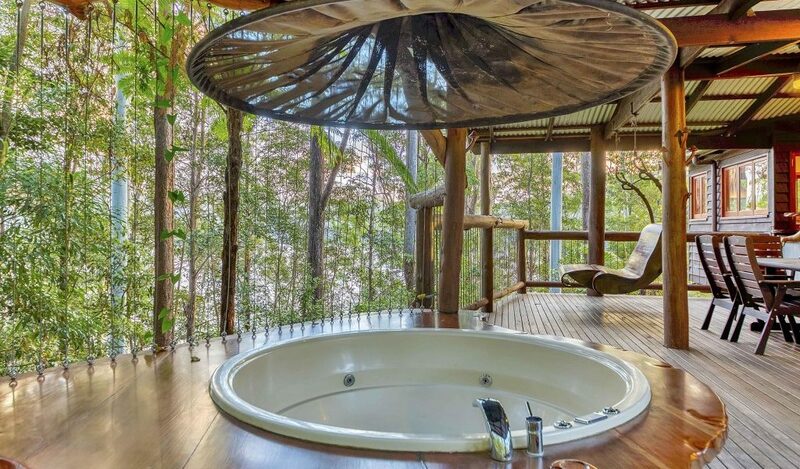 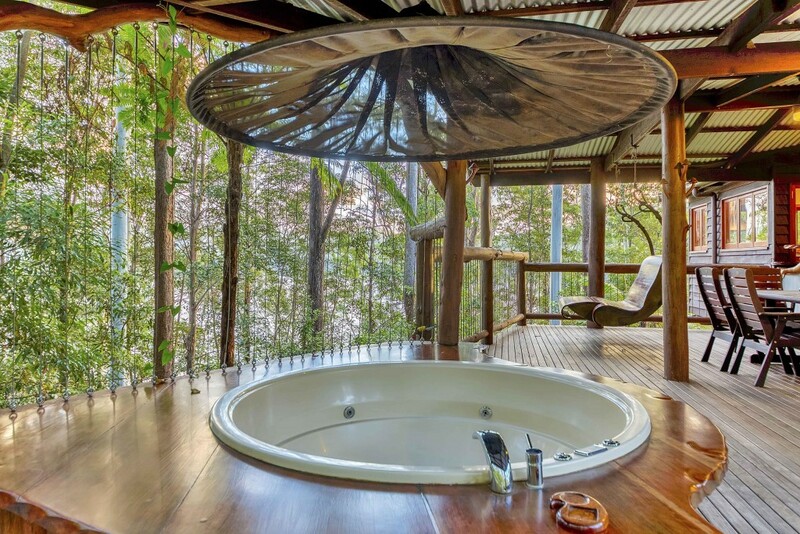 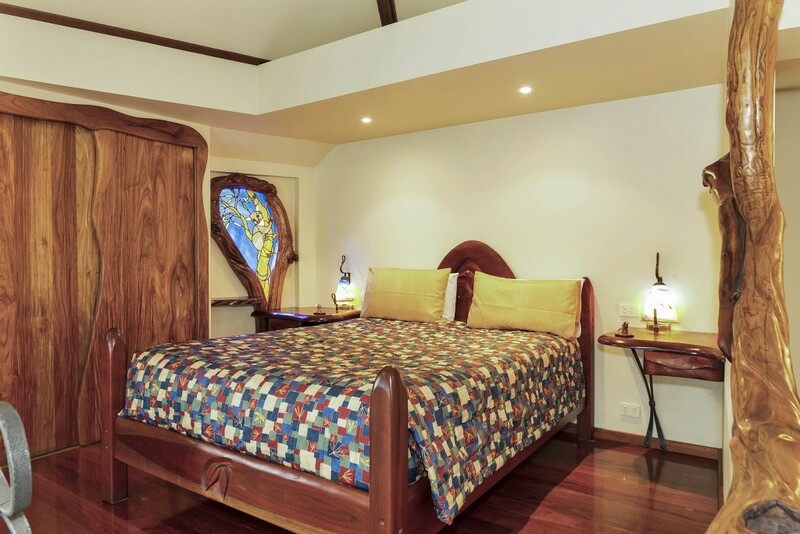 The Nest treehouse penthouse has 2 queen and 2 king single beds and sleeps up to six people comfortably. 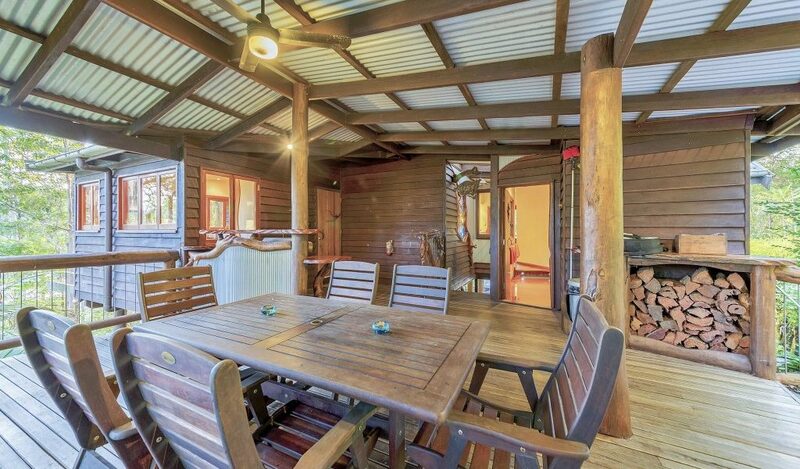 It and the WhistleStop are our family friendly cabin options. 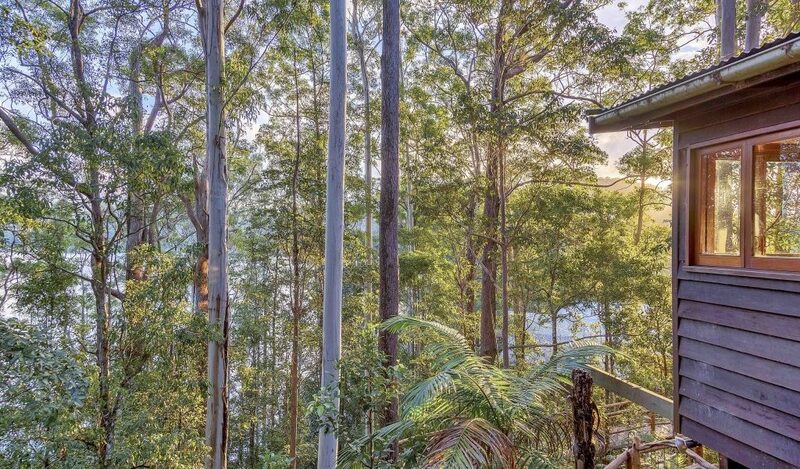 The Nest is our first ‘family-sized’ cabin and is nestled in the rainforest away from all of the other treehouses to maximise privacy for you and your group. 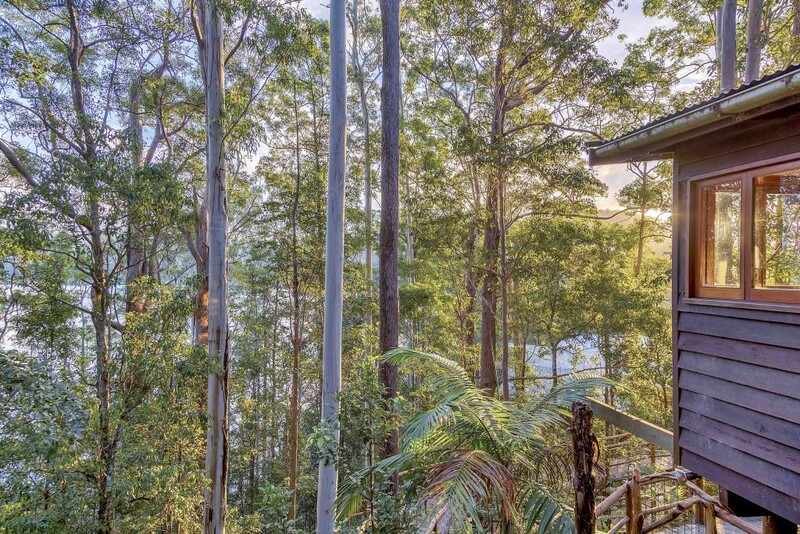 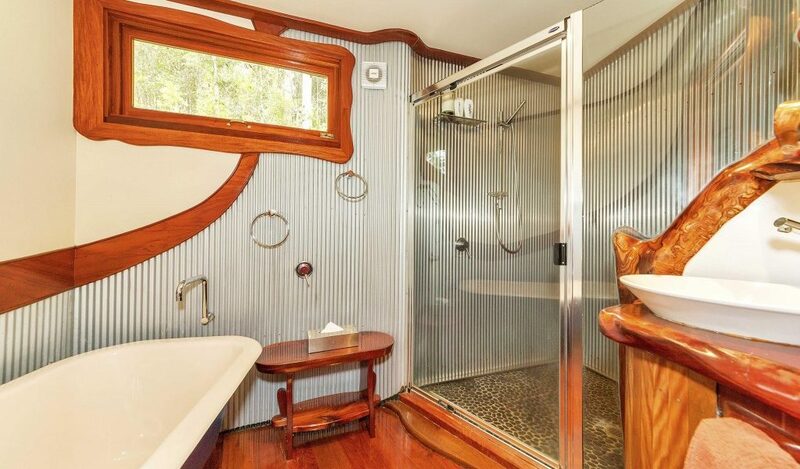 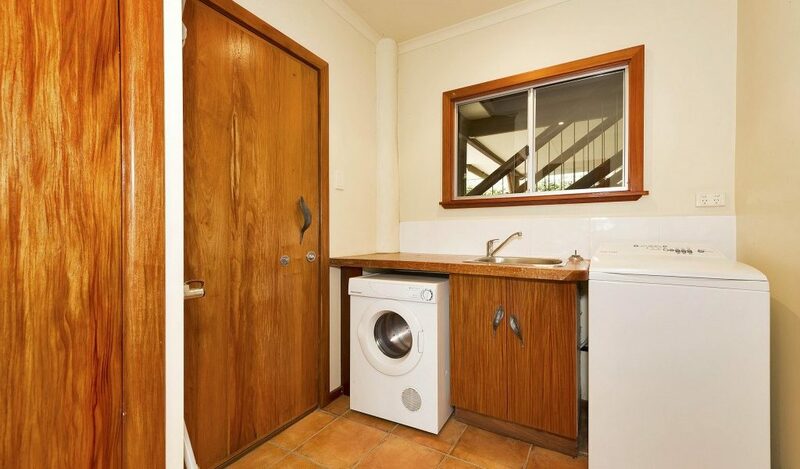 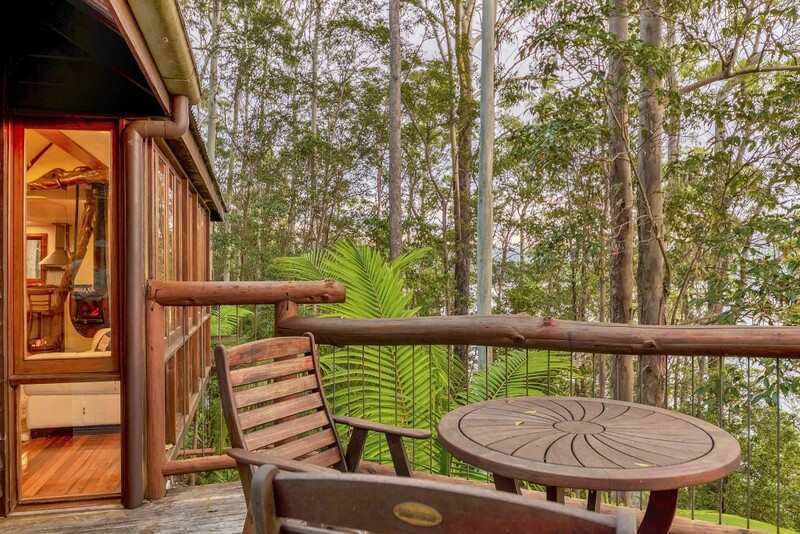 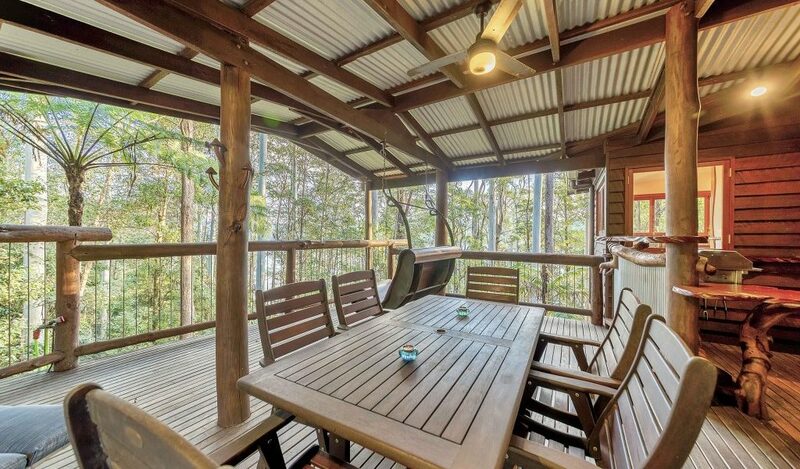 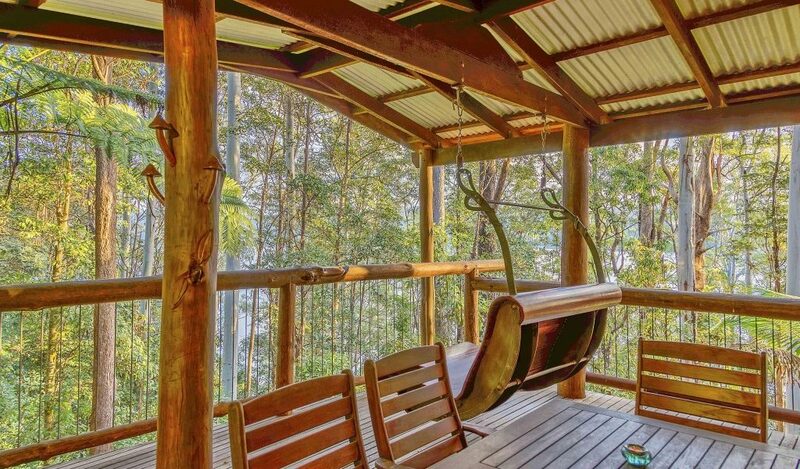 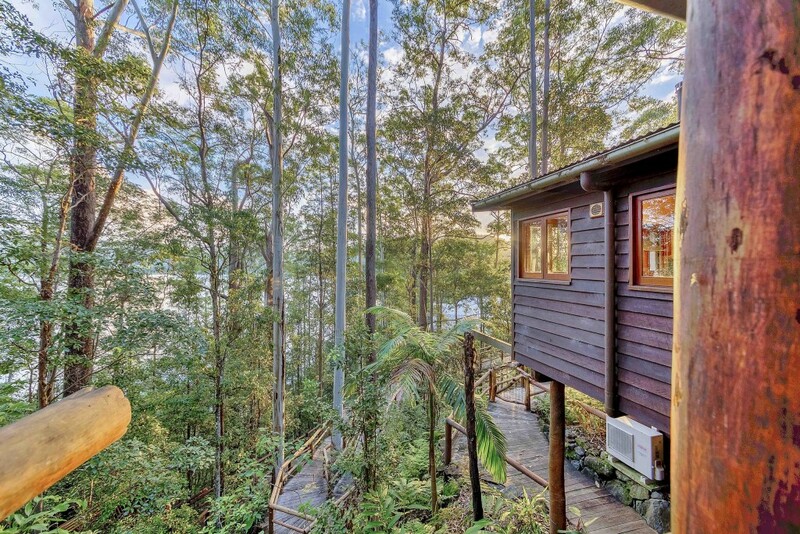 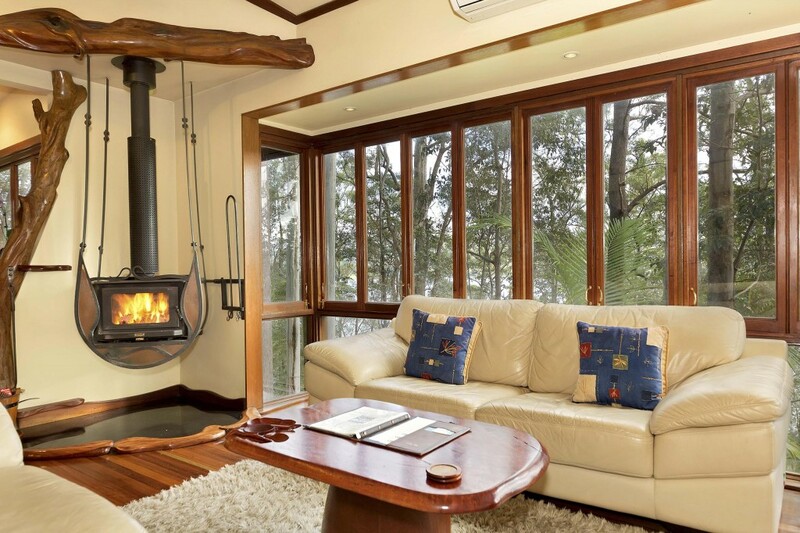 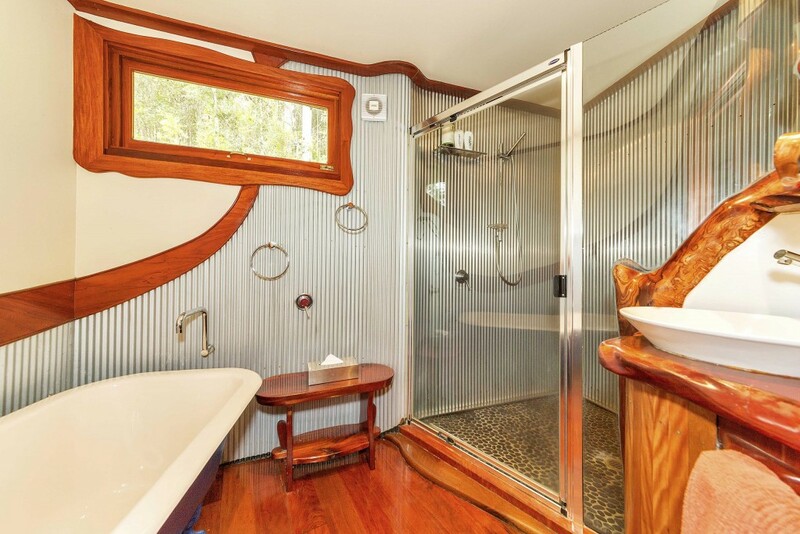 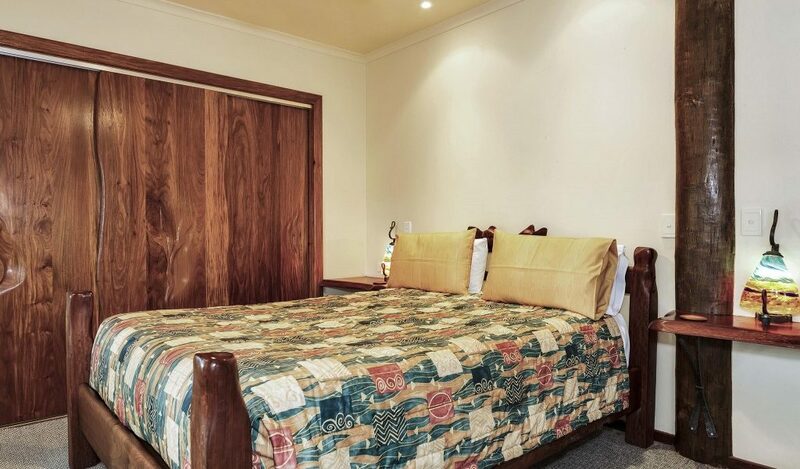 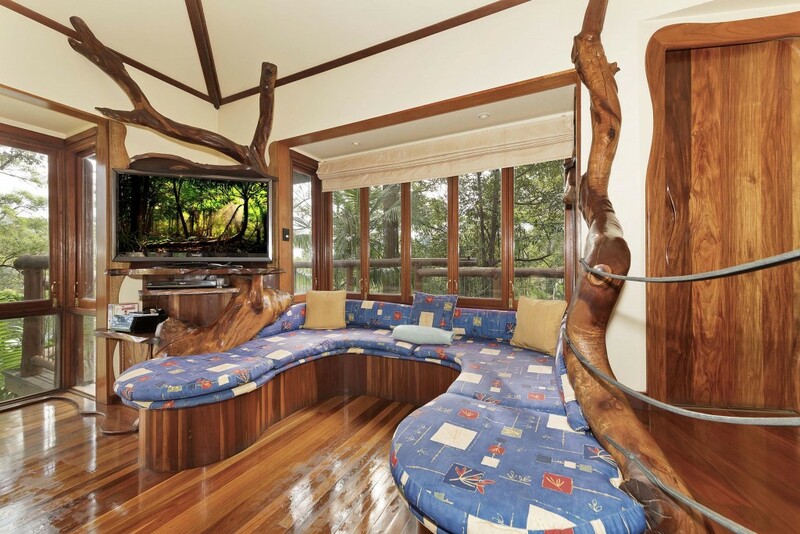 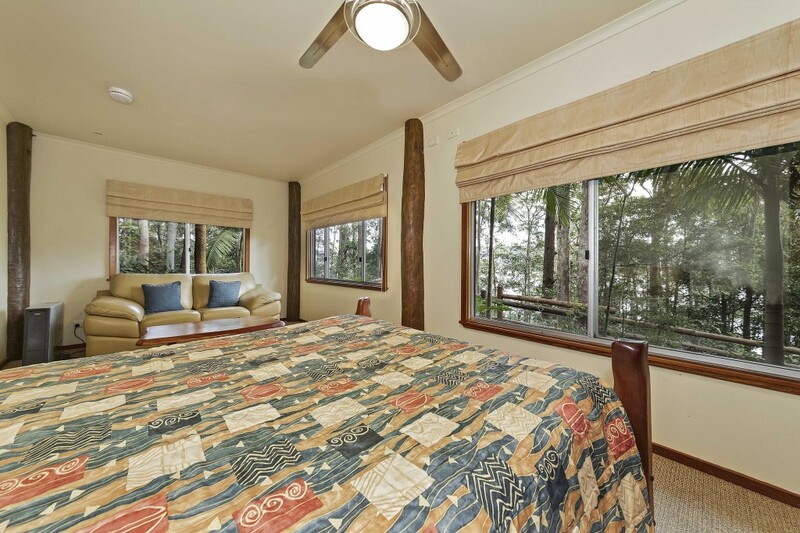 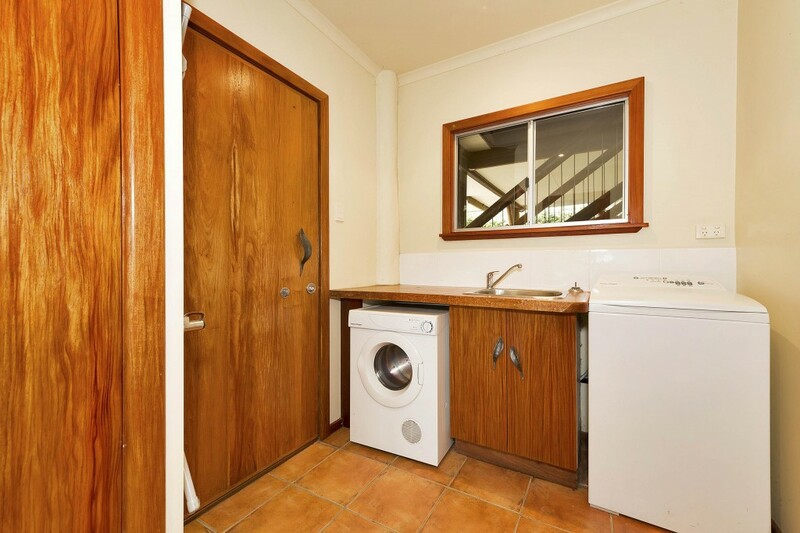 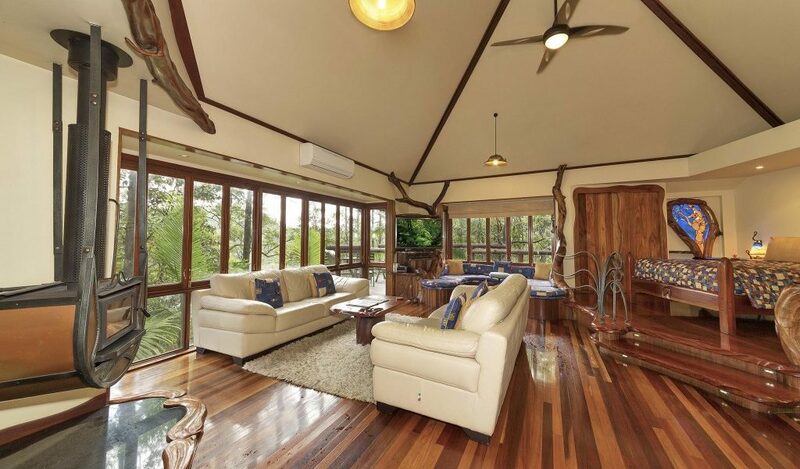 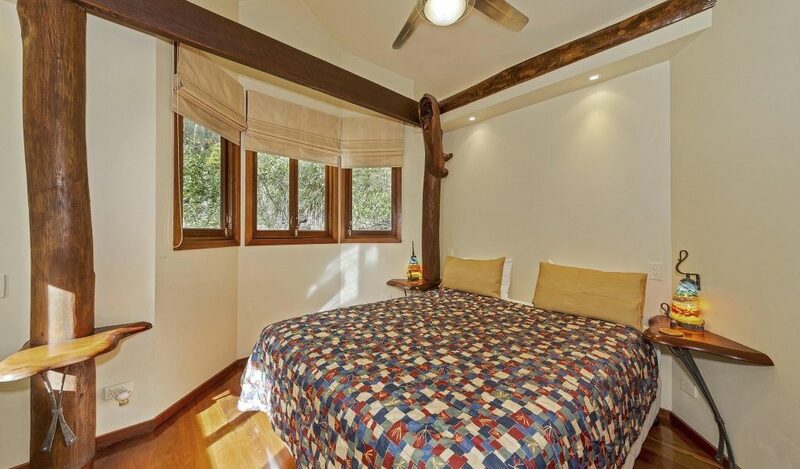 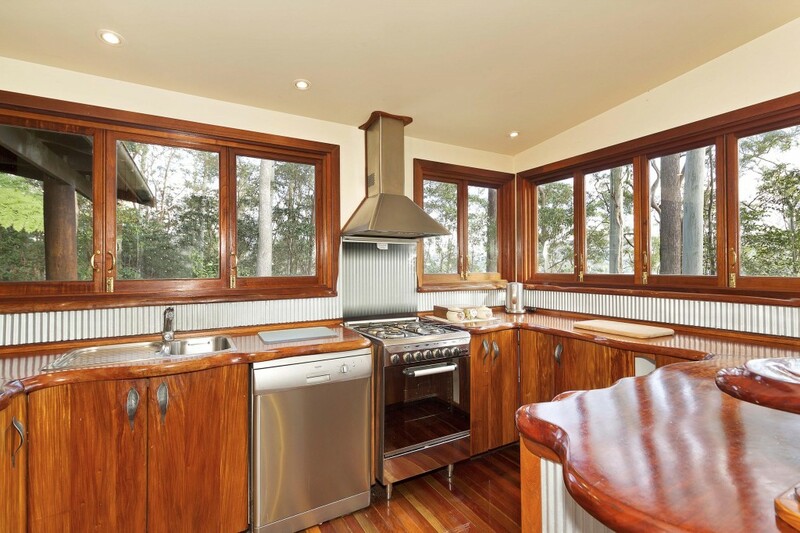 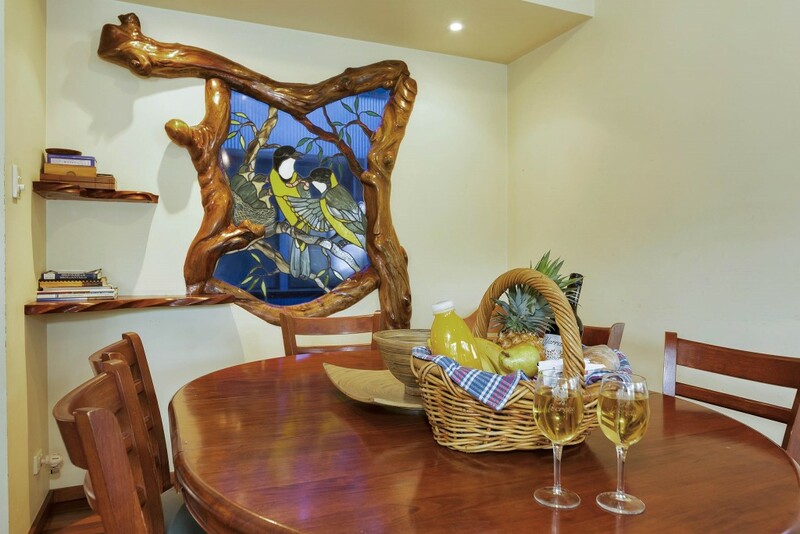 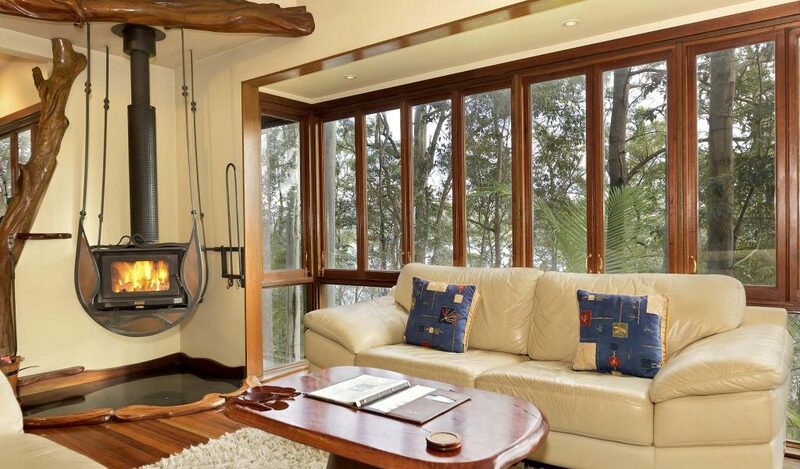 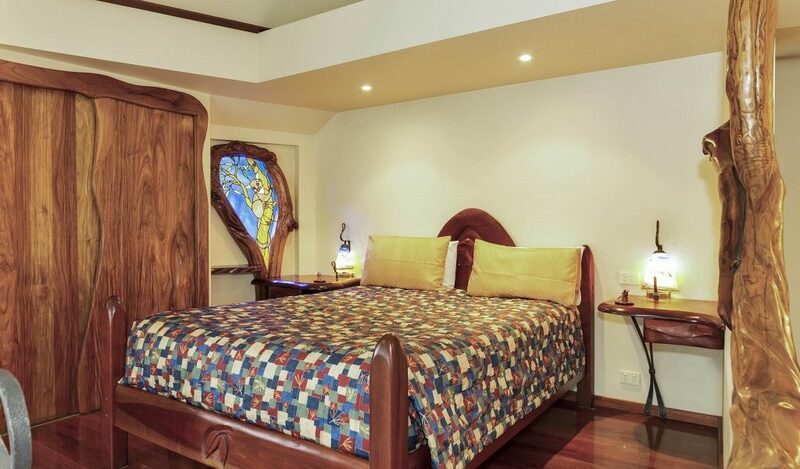 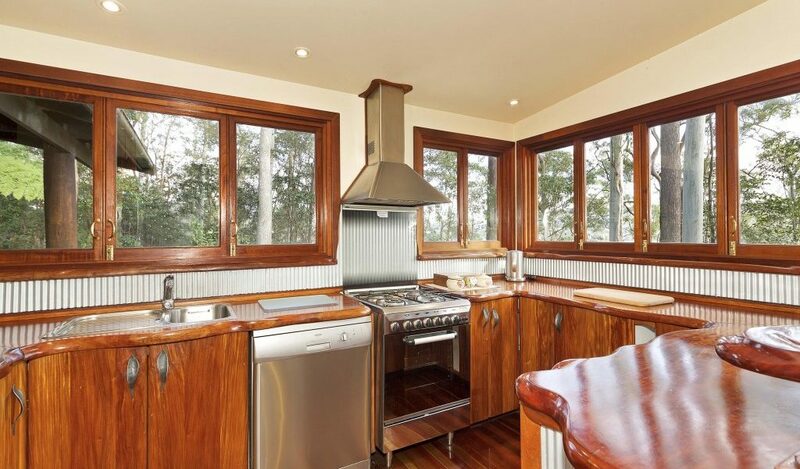 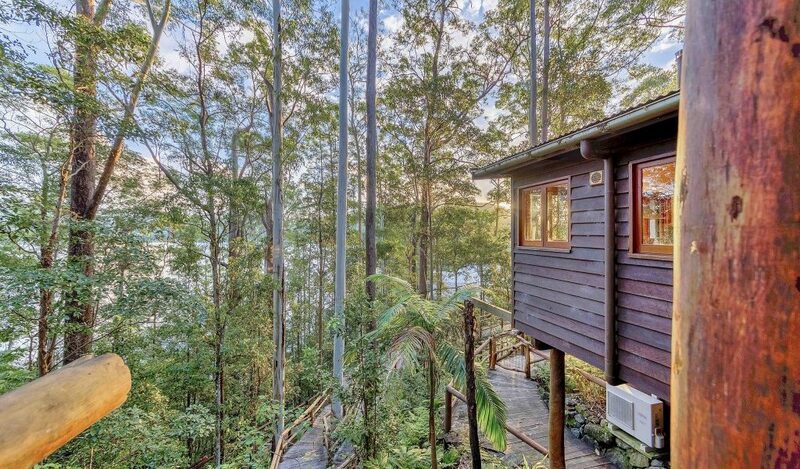 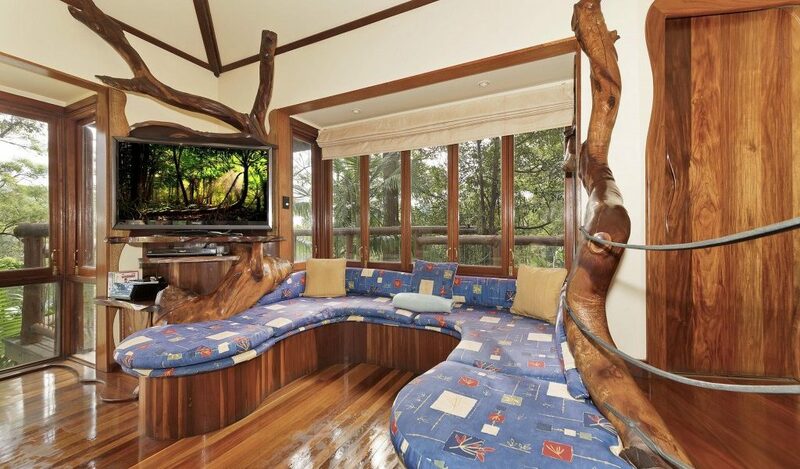 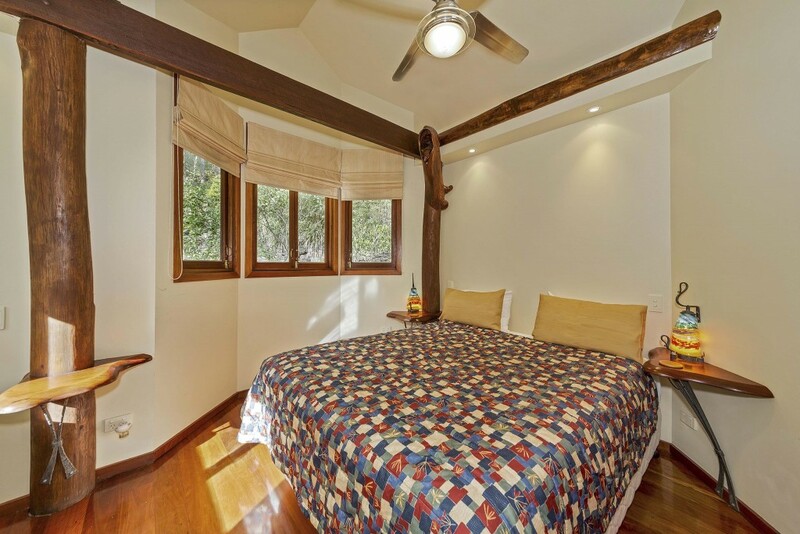 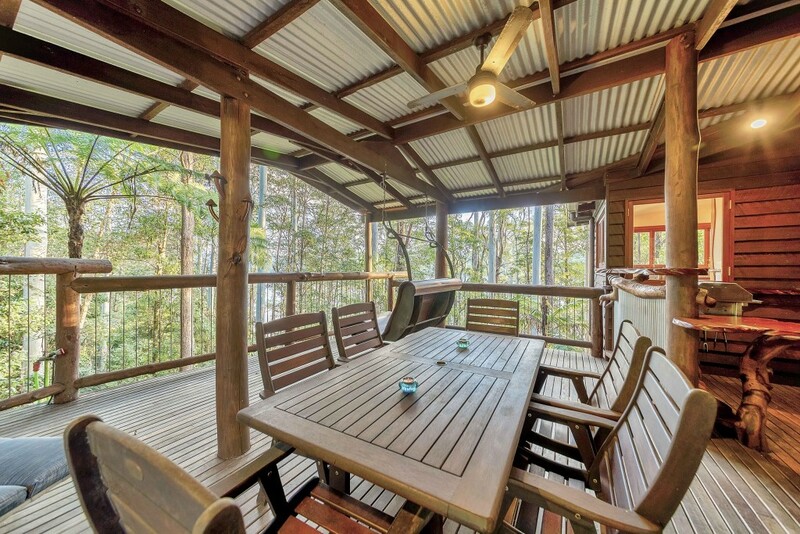 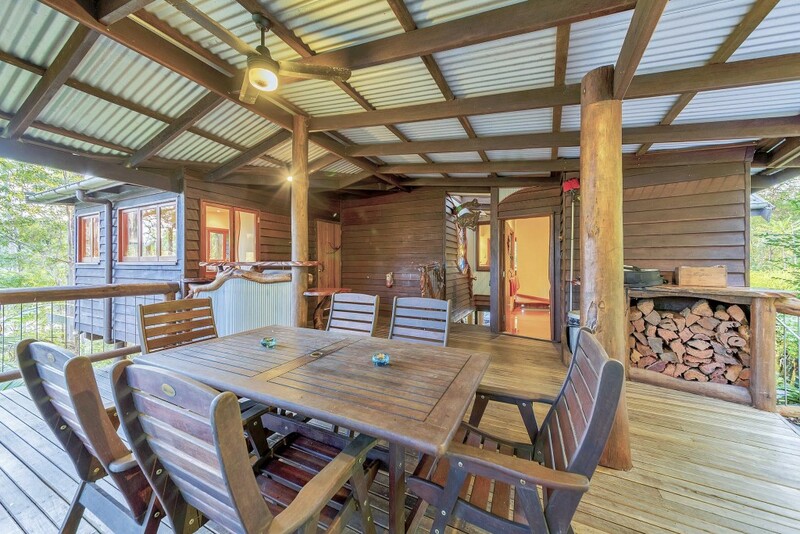 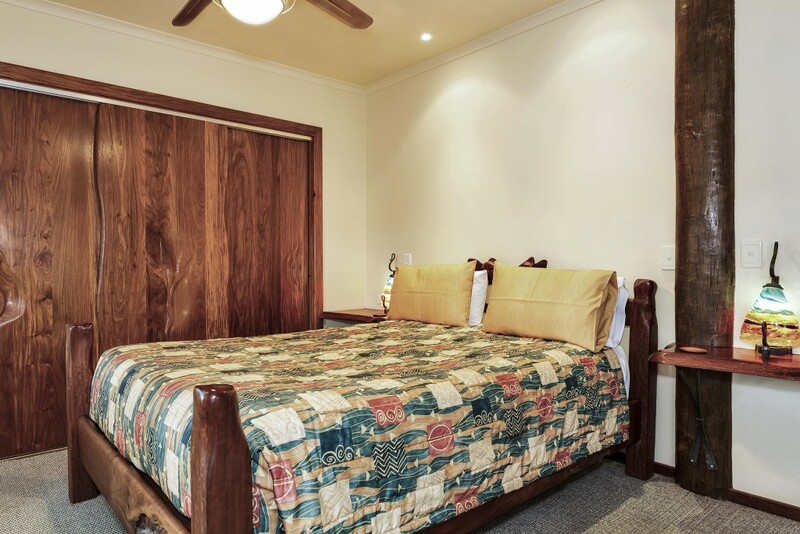 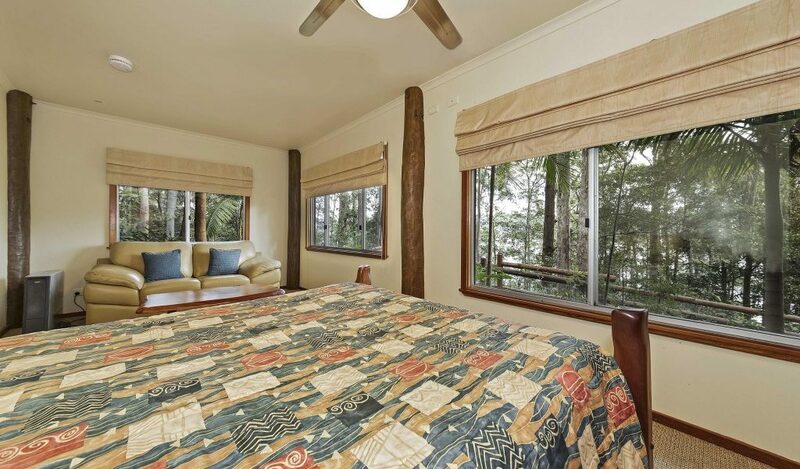 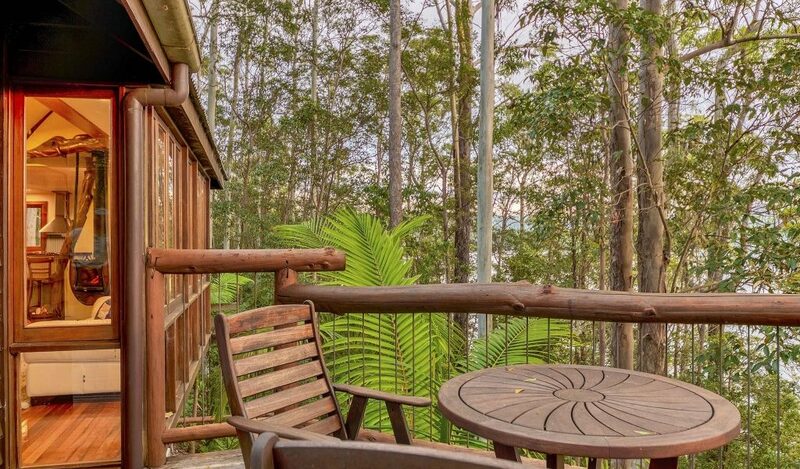 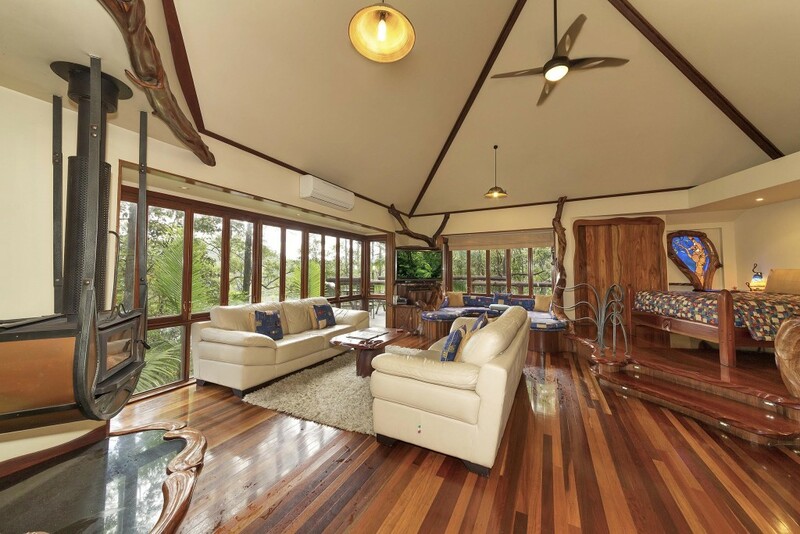 As this cabin sleeps six people, it is great for small groups on an eco-retreat, wishing to explore the natural beauty of the rainforest or relax with family and friends near the wonderful waters of Lake Baroon. 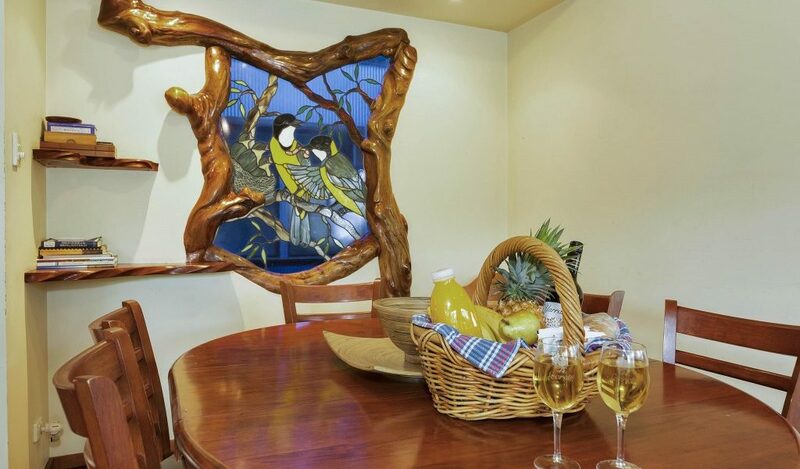 It is often used by wedding parties getting ready for their big day as well as for family reunions or birthday celebrations. 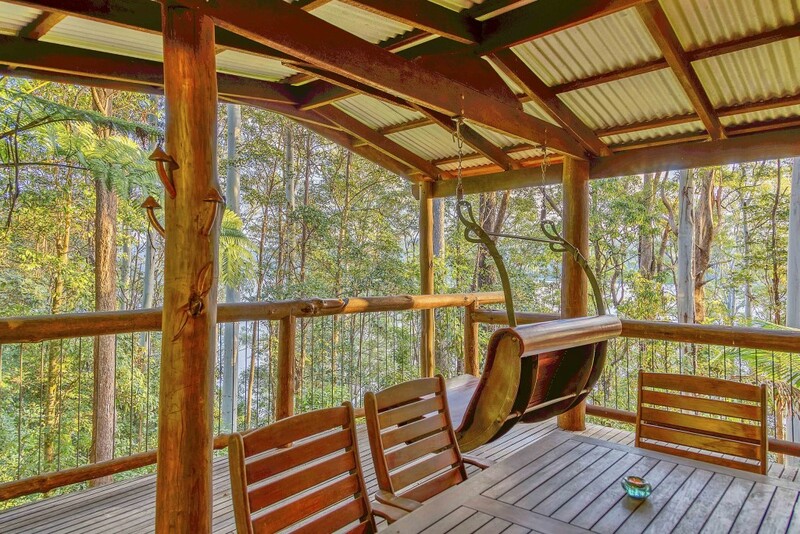 Large secluded twin decks, one which catches the morning sun and the other that looks through the rainforest to the Lake.